Masking Tapes, colored Masking Tape, Painters Masking Tapes, Riverside Paper Co.
Riversided has 7 different colors of masking tape to choose from. 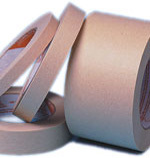 Our standard tan masking tapes are avaialble in several sizes and grades, Utility Grade Masking tape, General Purpose Masking Tape and Premium Grade Masking tape. 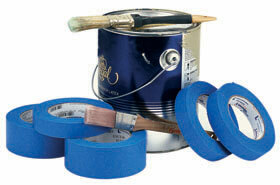 The Riverside Painters Masking Tape has a specially formulated Synthetic Rubber Based Adhesive system that provides clean removal characteristics and UV resistance - up to 10 days of outdoor exposure.